We understand both sides of the courtroom, and we know the seriousness of your situation. 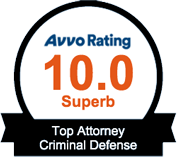 We work with you every step of the way to resolve your case as favorably as possible. If you have been arrested, we advise you to contact our law firm as soon as possible. When you choose Cole & Martin Attorneys at Law, LLC, you will receive the tenacious advocacy that you require in order to combat your criminal charges. As attorneys with 10+ years of experience in prosecution and over 25 years of combined experience exclusively in criminal defense, we have a thorough understanding of both sides and how to best build your case for an optimal outcome. Our Springfield criminal defense attorneys will personally handle each legal aspect of your case while offering you the compassionate support you deserve. 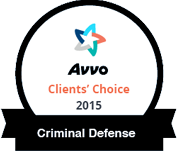 We understand the fear and anxiety that go hand in hand with criminal accusations. As such, we will do everything within our power to help you obtain a peace of mind. In order to do so, we will address your concerns, inform you of your rights, and help you make every decision an informed one. We will help you successfully navigate the complexities of the legal system. When you secure our representation, you can rest assured knowing your case is in capable and competent hands.